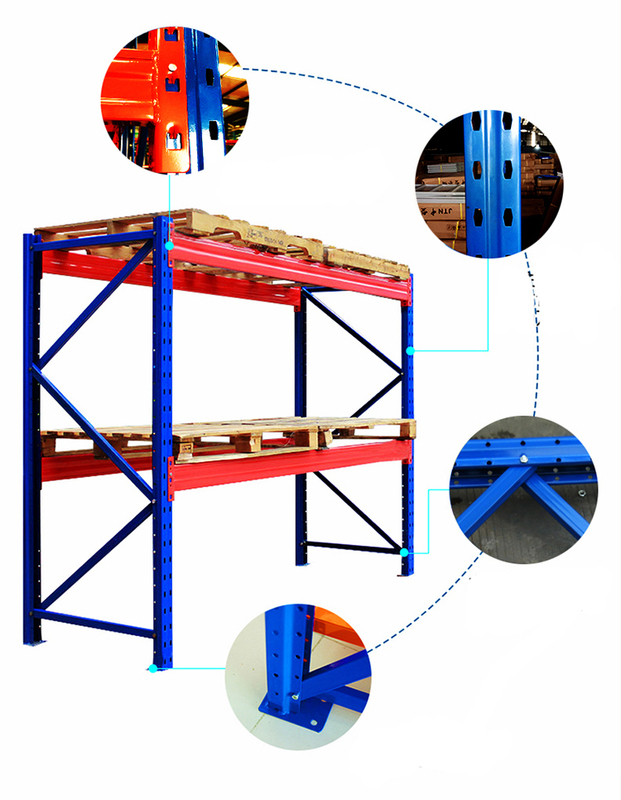 Selective pallet racking will optimize your space and improve your stock control.Thanks to wide range of dimensions,load capacities and accessories.Our pallet racking can be adapted to all types of spaces and for all manner of products regardless of their size and weight. 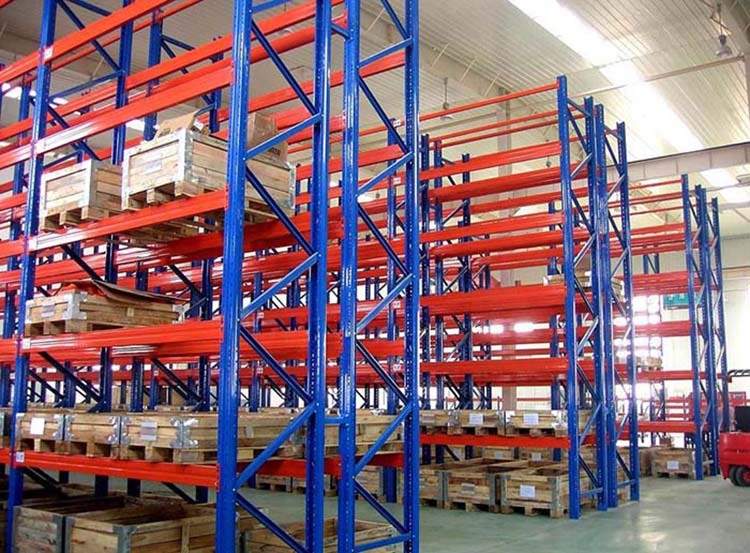 Selective Pallet Racking is configurable with a range of frame, and beam sizes which are fully adjustable, it is the most popular and widely used type of pallet storage system because its provides the ability to store a range of palletized products while providing high capacity in terms of weight and volume.
. Pallets can be located, accessed and moved individually.
. Fully utilize vertical space.
. 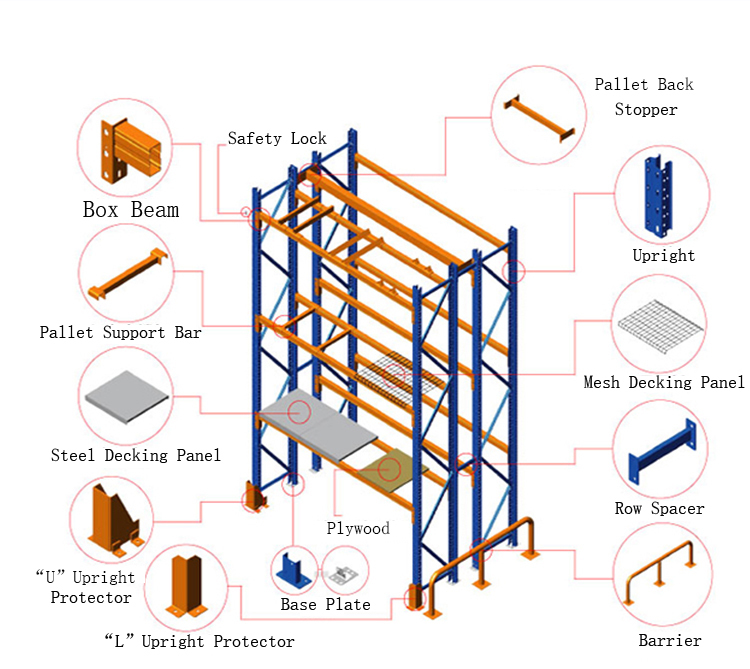 The loading capacity per level of such rack may reach 5000kg . 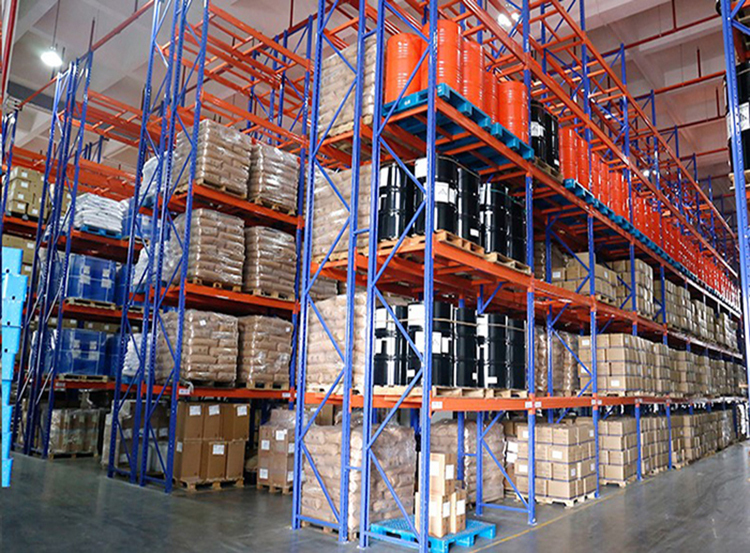 Strength and rigidity prevents compression damage to goods.
. Bottom level of pallets can be stored on the floor, lowering structure costs.
. Durable powder coated finish, clean appearance, fire proof.
. Height of level can be adjusted by 75mm or 76.2mm.